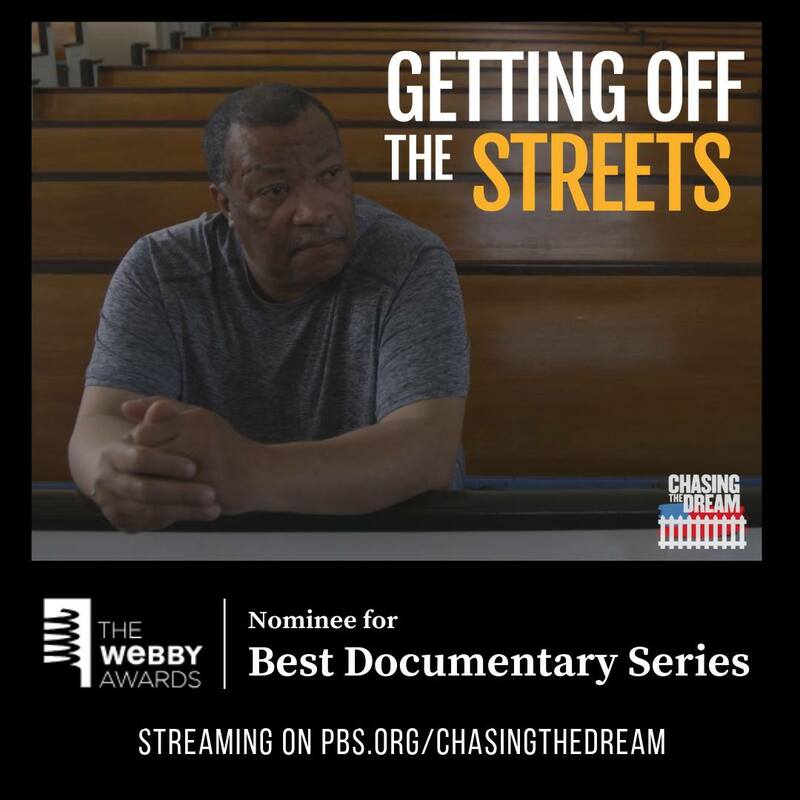 The Chasing the Dream: Poverty and Opportunity in America digital series “Getting Off the Streets” has been recognized with a nomination in the 23rd Annual Webby “People’s Voice” Awards in the “Video Series & Channels – Documentary” category. To win this prestigious honor, we need your vote. The “People’s Voice Award” is voted on by the public, and serves as a mark of international distinction for Internet excellence. Fans can vote online in each category now through April 18. Winners will be announced Tuesday, April 23, 2019. The series chronicles the dramatic journey of four homeless men from the streets of Camden, New Jersey, who have an opportunity to change their lives. Watch the five-part series on the Chasing the Dream site. “Getting Off the Streets” chronicles the dramatic journey of four homeless men from the streets of Camden, New Jersey, who have an opportunity to change their lives. Over six months, our cameras followed them in a rigorous homelessness rehabilitation program through the Interfaith Homeless Outreach Council (IHOC). We see their triumphs and their setbacks as they struggle through counseling and tough love. No drugs. No alcohol. No contact with family or friends. Our cameras are with them to paint an intimate portrait of the fight to get off the mean streets of Camden and find their way to a better life. Produced by the Chasing the Dream team at WNET, Getting Off the Streets is a series set in Camden, NJ.